Ⅰ.Shanghai Statistical Yearbook 2017 contains comprehensive statistics of Shanghai's social and economic development in 2016 and selected data of some important years and of the period since China adopted the policy of reform and opening to the outside world. Ⅱ.The book is composed of 23 parts viz.1.General Survey;2.Population;3.Employment and Wages;4.National Economic Accounting;5.Fiscal Revenue and Expenditure;6.Energy and Environment Protection;7.Investment in Fixed Assets;8.Foreign Economic Relations,Trade and Tourism;9.Prices;10.Living Standards;11.Urban Construction;12.Agriculture;13.Industry;14.Construction;15.Transportation,Posts and Information Transmission;16.Wholesale and Retail,Hotels and Catering Services;17.Finance;18.Real Estate;19.Science and Technology;20.Education;21.Health,Social Security and Social Welfare;22.Culture,Sports;23.Laws,Notary and others.In order to make readers using materials correctly,brief introduction and explanations of major statistical indicators are attached after every chapter. Ⅲ.Main part of the data in this yearbook are investigated and collected by Shanghai Municipal Statistical Bureau and Survey Office of the National Bureau of Statistics in Shanghai,except those with special notes. Ⅳ.The international standard unit of measurement is applied in this book.All amounts are denominated in RMB,except those with special notes. Ⅴ.The prices used for calculating of gross indicators in this yearbook are current prices. Ⅵ.Statistical discrepancies in this book due to rounding are not adjusted. Ⅶ.Marks in this book:…means not large enough to be rounded into the least unit of measurement;blank space means data are not available;#indicates major item in a category. 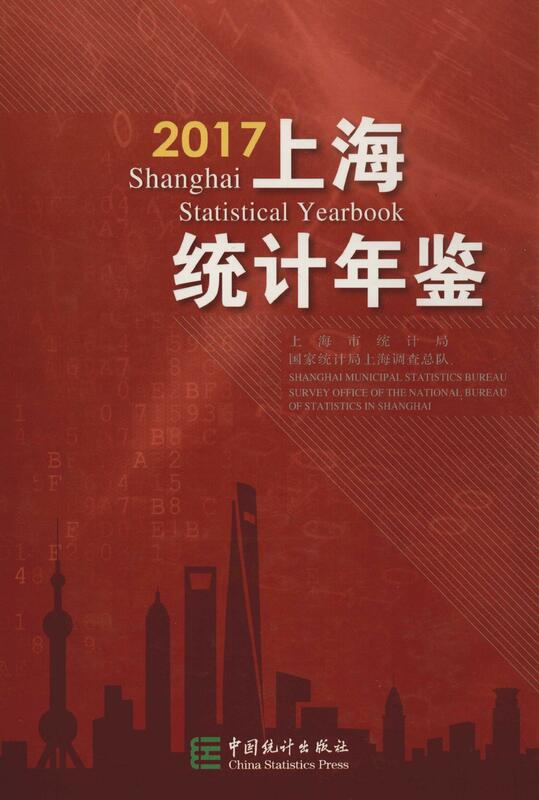 Ⅷ.Previous editions of Shanghai Statistical Yearbook have won wide acclaim among the readers.In order to get further improvement in the yearbook editing,we welcome all candid comments and criticism from our readers.